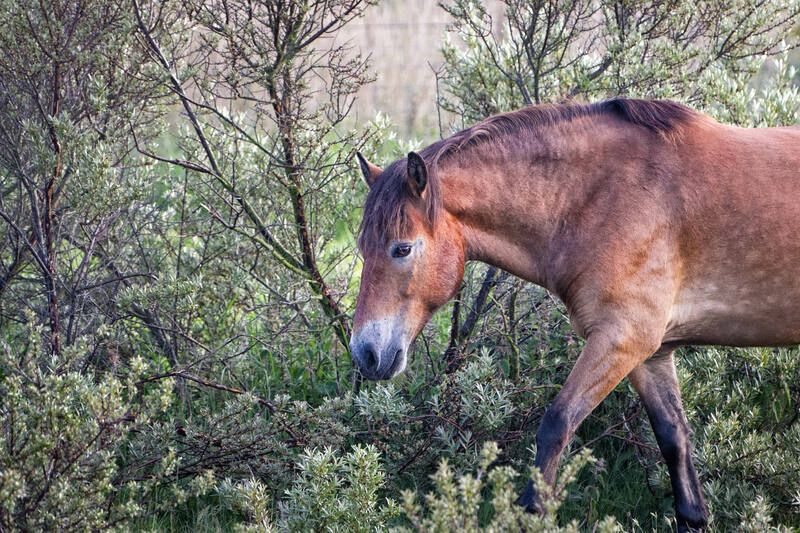 Exmoor pony walking through a bush near Egmond Binnen, NL. Again a strong impression of compressed perspective here. (similar to morning mist rising at dawn). The blurred gray background here is a field of reeds and tall grasses at least 100 feet further away, but in this image I’m inclined to see it as a wall situated immediately behind the bushes, which makes the scene almost look like a narrow theater stage with a painted backdrop. A telephoto lens was used to make the distant scene fill the frame and achieve the appearance of a ‘flattened’ image.